Land of Belle's Annabelle Moehlmann talks with Upper East Side-based decorator Patrick Mele about his signature style that's saturating our city and its suburbs. 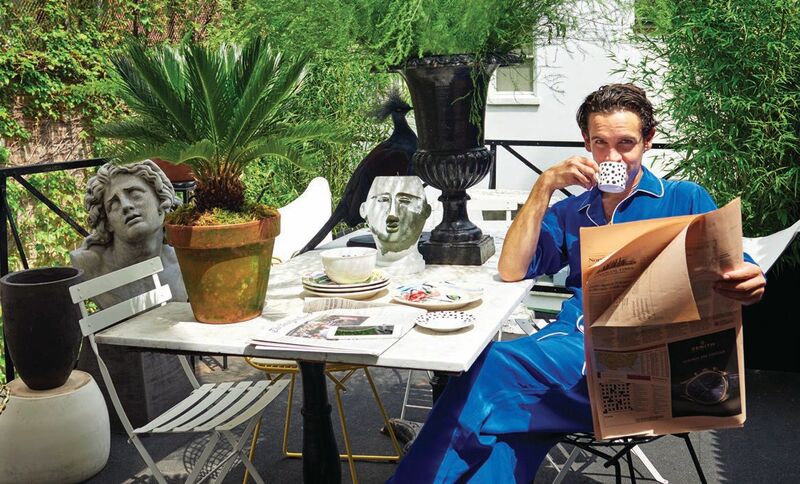 Patrick Mele takes his breakfast alfresco on his Upper East Side terrace. 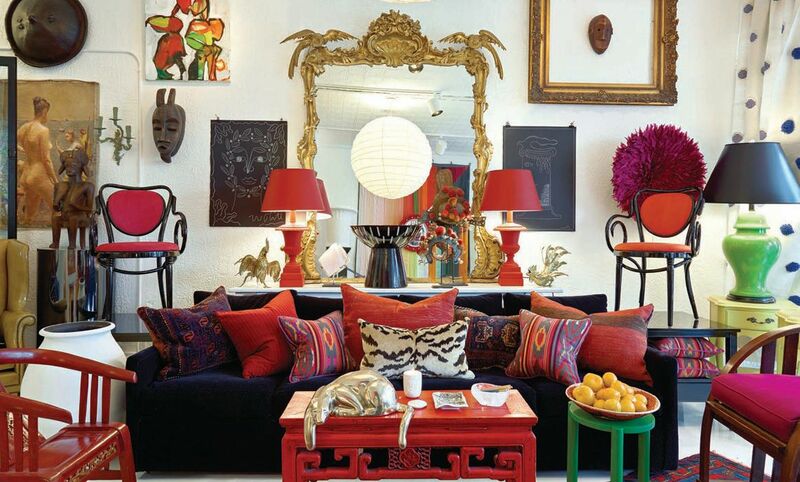 Patrick Mele is known for his flair for exuberant interiors and eye for bold colors—a style he describes as “a mixed-up sauce!” Currently working on a duplex in Brooklyn Heights and a flat in London, the designer’s projects are marked by unexpected pairings like midcentury furnishings and old master paintings. With the goal of sharing his distinct aesthetic with the world, Mele recently returned to his roots in nearby Greenwich, Connecticut, to open a jewel-box boutique. Who has greatly influenced your work? PATRICK MELE: Albert Hadley, Angelo Donghia, Michael Taylor, Elsie de Wolfe, Emilio Pucci, Peggy Guggenheim, Issey Miyake, Cecil Beaton. PM: I felt like there wasn’t anything in Greenwich that spoke to my interests. So when a historic space became available in this town with a huge audience and a dynamic demographic, I felt it was a unique opportunity to fill a void. What do you sell that’s not found elsewhere? PM: [The store] is only 500 square feet but it fits a mashup of furnishings and artwork from different periods and pedigrees—like 20th-century rugs from Turkey, Noguchi Akari lighting, tableware and pottery by Nicholas Newcomb, artwork by Wayne Pate and some fabulous vintage jewelry. When designing a space, what do you stay away from? Transitional furniture, fighting against the architecture, status symbols and any watered-down versions of originals. PM: The next one, always looking forward. In NYC, where do you go for inspiration? PM: Bergdorf Goodman, Dover Street Market, De Vera, The New York Botanical Garden, and the lobbies of The Carlyle and Chrysler building. To you home is… Medicine for a rough world.